What’s in that tube? Our Shea Butter Lipbalms are amazing! Most lipbalms are comprised of either petroleum jelly and/or beeswax. Now, we all know that we don’t want to put the extract from refining fossil fuels into gasoline onto our lips and beeswax isn’t a bad option… but can it be better? Beeswax is certainly a healthier, more natural option, but the problem with beeswax is that it does NOT add moisture to your lips, it only seals in your lips in exactly the same hydration level that they are currently at. What you need is to add moisture AND seal that moisture in. LRHDairy’s lip balm does just that! It’s first ingredient is Shea Butter along with Coconut Oil, Cocoa Butter, and, Red Raspberry Seed Oil, and Natural Vitamin E Tocopheral and only 15% beeswax to provide that final bit of sealing to hold those lovely ingredients on your lips where they can comfort heal and protect. Shea butter and Red Raspberry Seed Oil have natural sun protection to them and Vitamin E Tocopheral is proven to prevent and reverse DNA damage from the sun that can really age our faces when we get too much sun around our smiles. Our luscious lip licking lipbalm is 100% Natural and the flavors we currently offer are: natural Peppermint essential oil, Berry extracts, yummy Lemon essential oil, Blood orange essential oil, and our very popular Immunity blend which is a Christmas~y flavor made up of clove, cinnamon, lemon, eucalyptus, and rosemary essential oils that are excellent for your immune system! Prices are $2.75 per lip balm or two for $5! 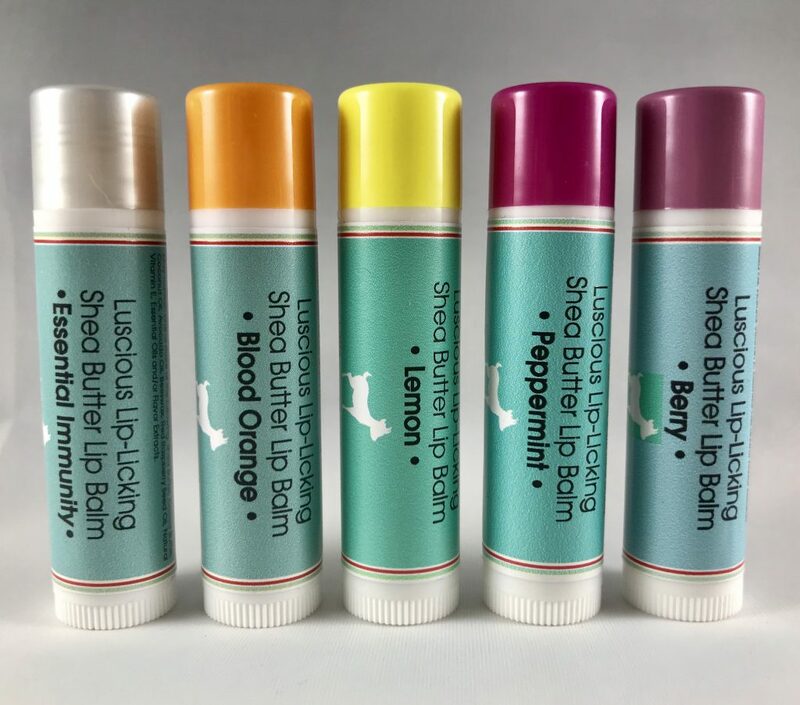 Click on the ‘Shop’ tab above to purchase some of our yummy flavored lip balm! We can accept credit cards, checks, and paypal!